The red fox has a very wide habitat range, including cold regions, and can be found across the globe in North America, parts of Africa, Europe and Asia, while the grey fox is found from Canada to the northernmost parts of South America. The gray fox prefers dense forests that provide plenty of room to hide from predators and stalk smaller animals for food. 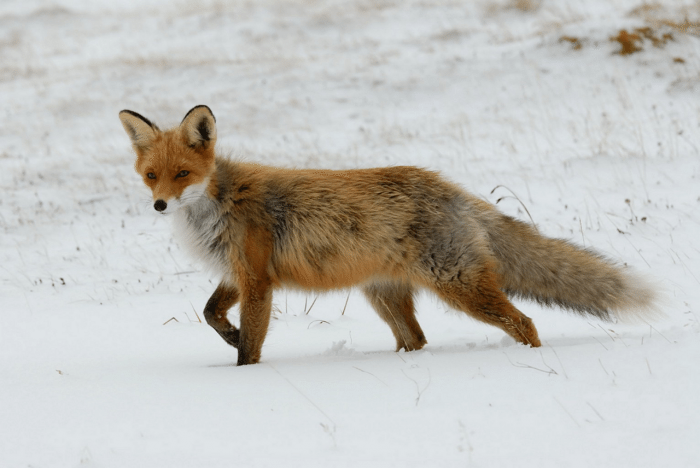 The red fox has adapted to a variety of habitats and can be found in forests, deserts, grasslands, mountain ranges and even in urban neighborhoods. Red foxes hide from predators by digging a burrow in the ground and can handle a more varied diet that includes insects, fruits and vegetables in addition to meat.